Tools are important to any trade, especially the construction trade. Woollatt Building Supply is your local dealer for many specialty tools. 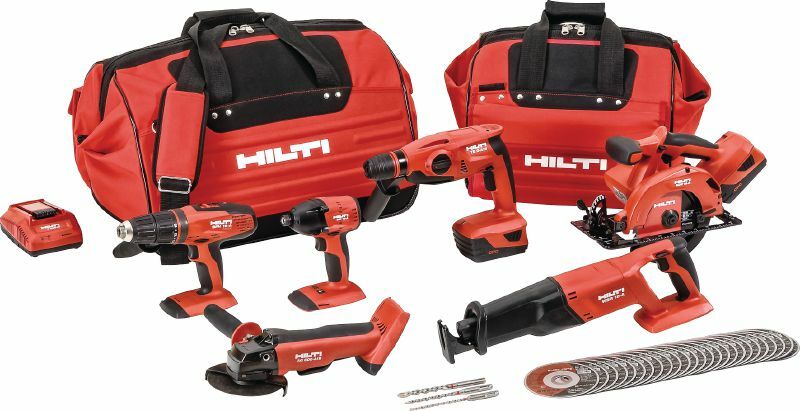 We are the full line London distributor for Hilti. We also stock and repair Canadian made Columbia taping tools. New to our tool line is OX tools; they started in Australia in 1974 and are now available in Canada. ABOUT COLUMBIA: Founded in 1979 by a drywall contractor, Columbia Taping Tools is now the strongest privately-held drywall tool manufacturer in North America — and still 100% family owned and operated. Their commercial grade drywall taping tools are designed, fabricated, engineered and assembled in Canada from quality American steel, rubber, plastic and aluminum. ABOUT OX TOOLS: OX hand tool range was born in 1974 in Australia and was launched under the OX brand in the UK at the beginning of 2012. With extremely high quality products, a strong brand and competitive pricing, the range is already proving to be a massive success. Developed and proven in the Australian market over the past 39 years the hand tools are instinctively recognized as tough, dynamic, dependable and importantly, affordable.The Spectrum Diamond Tool range was developed in 1992 and is now clearly recognized as the leading brand of choice and at the forefront of diamond tool technology. ABOUT NELA TROWELS: NELA Plastering Tools are the latest range of products to the Plastering Trade, launched in April 2014, NELA has quickly become a very respected and trusted name. Made in Germany – Ready to go – Manufactured to the Highest Quality – First Class Plastering Trowels. NELA manufactures a range of Plastering trowels such as a Premium and NELAFLEX Trowel – as a company they aspire to be the best and will constantly listen to the trade and ultimately reach this goal.